The 2017 NFL Draft is tonight! I’ve combed through the news, heard all the rumors and am ready to predict all 32 picks of round 1. This year’s draft seems more unpredictable than others as after the top pick it could go in any direction. A team could trade up for a QB they want, the 49ers could go offense or defense with the second pick. Then the dominoes start to fall. Who’s the first QB off the board? How many players from the SEC will be picked in round one? Who drafts Christian McCaffrey? 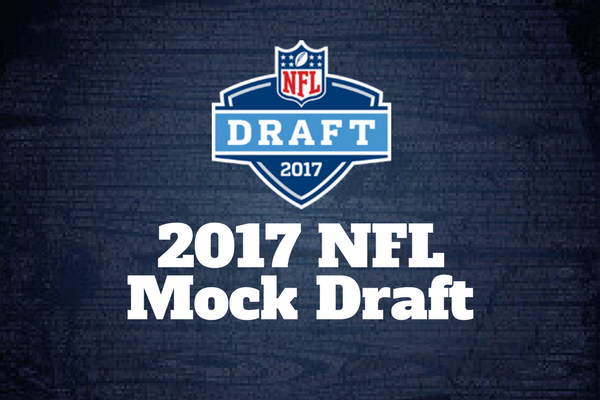 Let’s get to my mock NFL draft picks! Do you know what will happen at the NFL Draft? Make your picks now in this Free NFL Draft Pick ‘Em! See more NFL from SportsFormulator.